During my pregnancy, I have felt I needed a project. I was 19 weeks at this stage and I didn’t want to start the nursery until we knew if we were going to be pink or blue. I know a week until we knew, but it seemed a long wait! 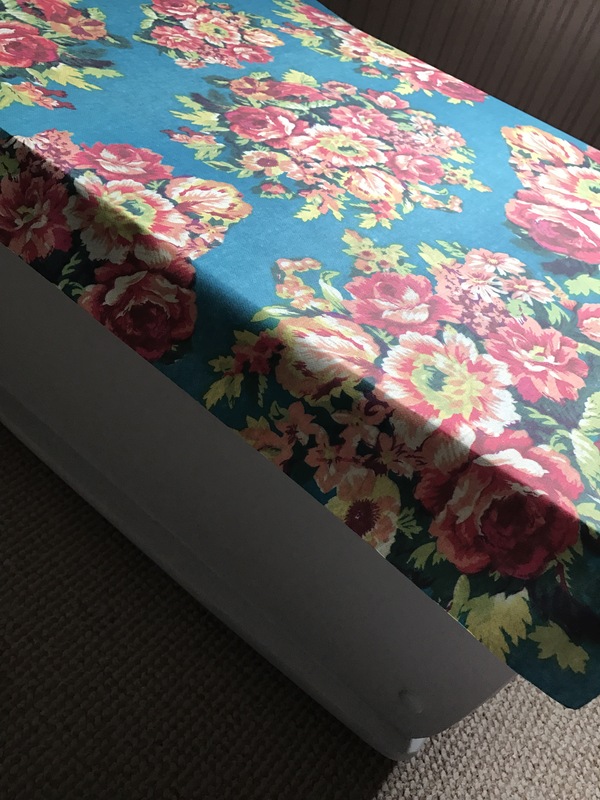 As I hadn’t finished the dressing table that I started at the end of my last upcycling project, this was the perfect time to test decoupage on the twice painted toy chest I had. We have been using this as a DVD box in our living room. It was a boring piece of furniture and needed a life. Remember this photo? The chest has gone from plain pine to pink, to a grey and is still lifeless. With the help of the Sarah Moore’s Vintage Home book, I had inspiration. I had purchased from Hobbicraft with no plans or ideas for it! It was the perfect choice when I rolled it across the top of the chest to discover I had plenty to play with. Now I just needed to know what to use and a method. I was surprised how straight forward to was, a quick trip into town for the supplies and I was off. Most of these things you will probably have, but I have very slowly been using the ‘Marie Kondo’ effect. 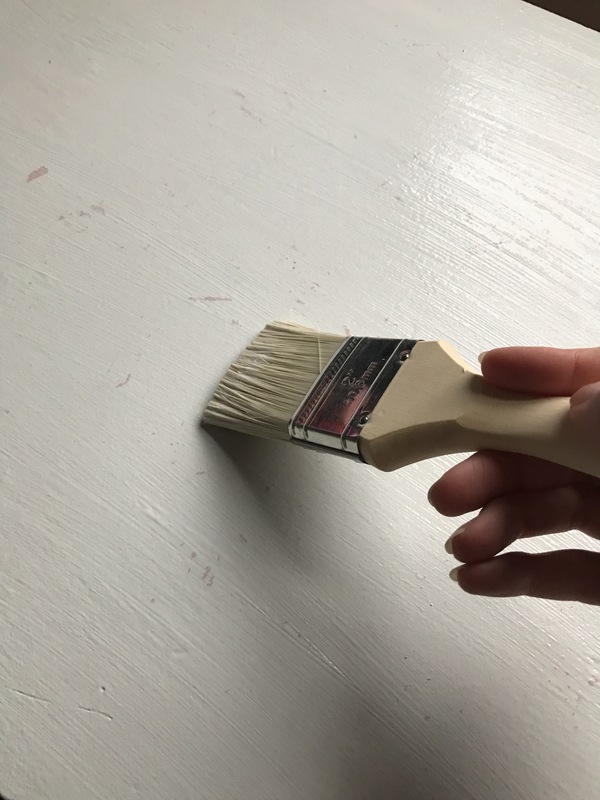 Clean paint brushes – best to go new with glue. Your choice of paper. 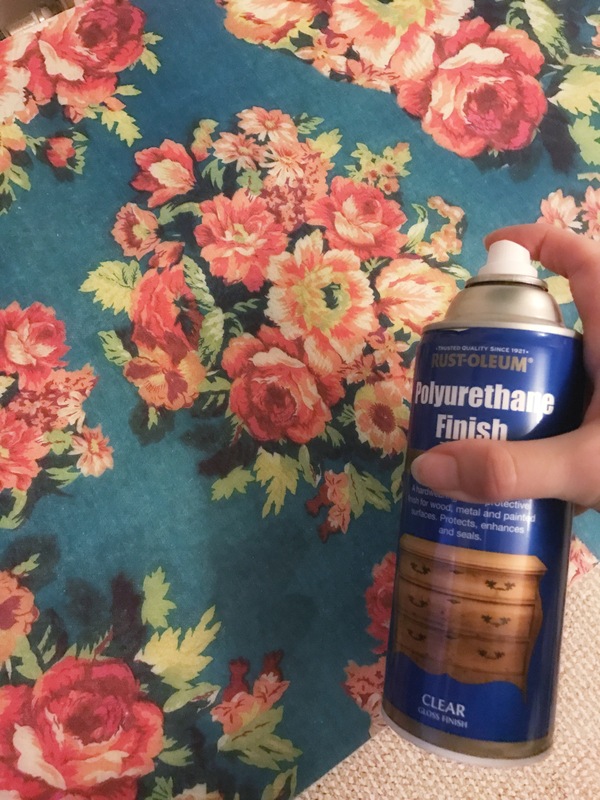 Wallpaper or wrapping paper recommended as thinner paper can rip and tear. Unless you have a delicate hand. Start with a clean, dry surface. I had already painted before with Laura Ashley furniture paint. 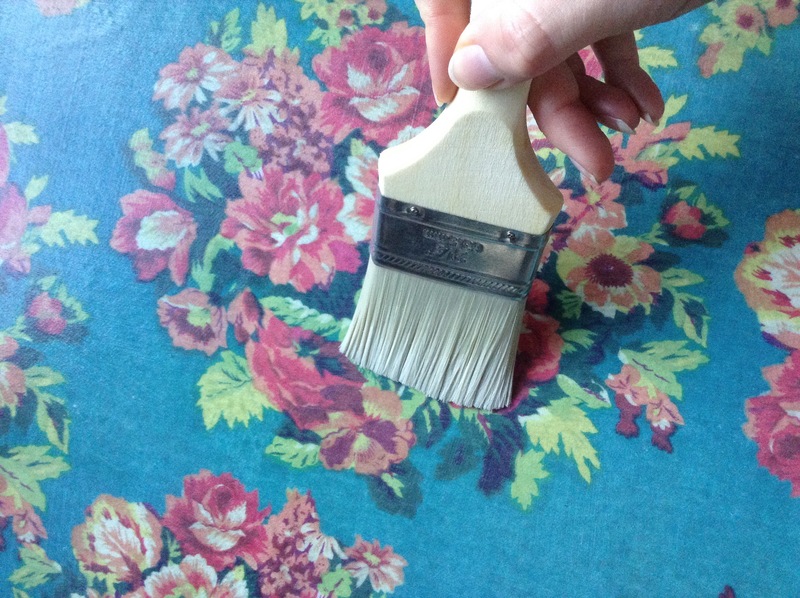 To be honest this isn’t very hard-wearing like Annie Solan paints, which I now religiously use in my upcycles. Have the paper about 1 inch larger than the surface and hang over the edges. This is all you would need hanging over. 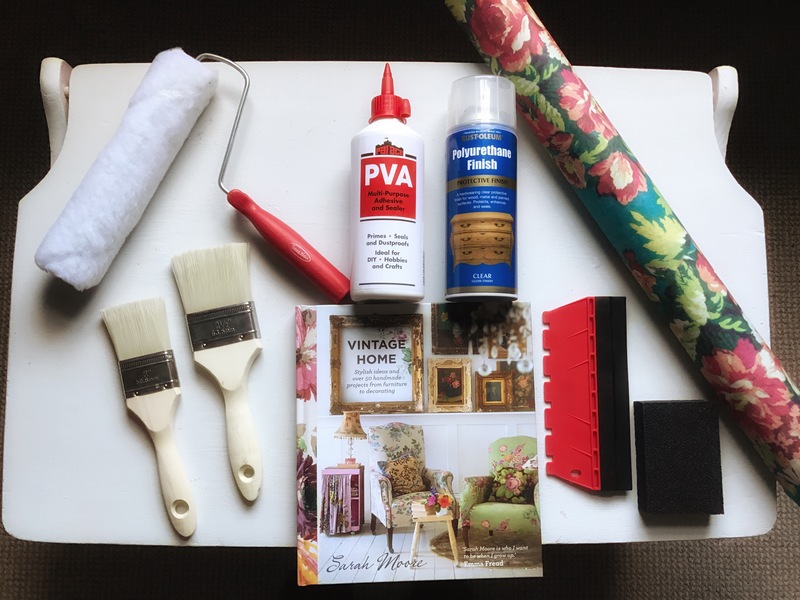 Brush a thick layer of PVA glue onto the top of the surface and then brush a layer of glue onto the paper. 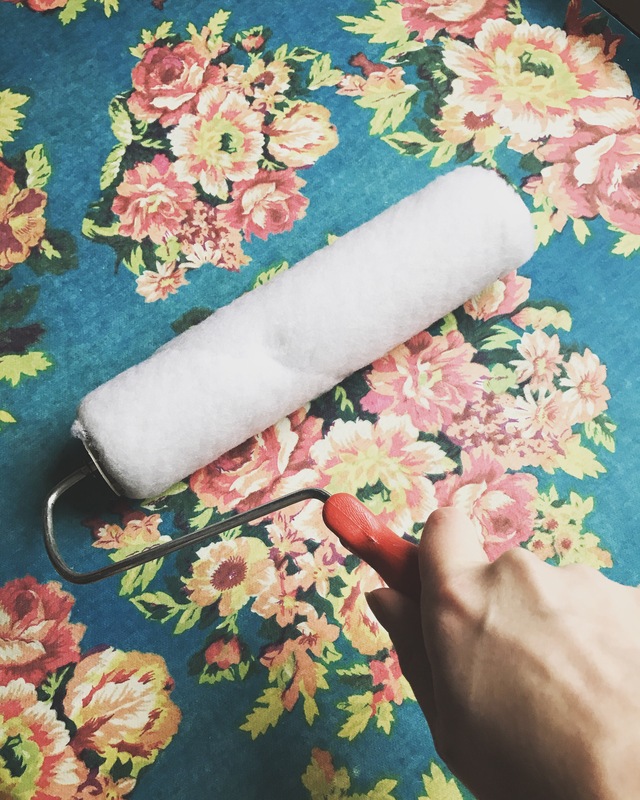 Place the paper on top of the surface and smooth out with the soft roller, but be careful at this point to not move or rip the paper. 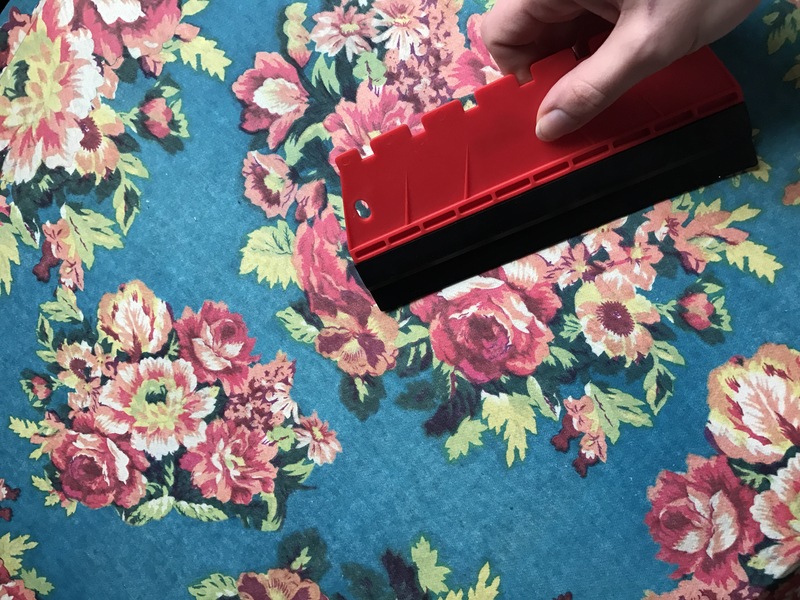 With the roller, it is less likely to rip. Keep smoothing to smooth out the wrinkles, use the squeegee for further wrinkles again with caution, so you don’t rip it. This helps with stubborn wrinkles. Let the paper dry for 30mins and then apply a top coat of glue to the paper. Let this dry for 30mins. Using the fine grit sandpaper, sand the edges of the surface. This separates the paper from the surface and creates the perfect edge. Sand the entire edge of the furniture. Apply a further coat of PVA glue and allow to dry. Then spray the top with Polyurethane for the perfect finish. 2 coats of this should be sufficient and durable. As I said I had previously used Laura Ashley’s furniture paint which chips very easily even if you use their recommended varnish. 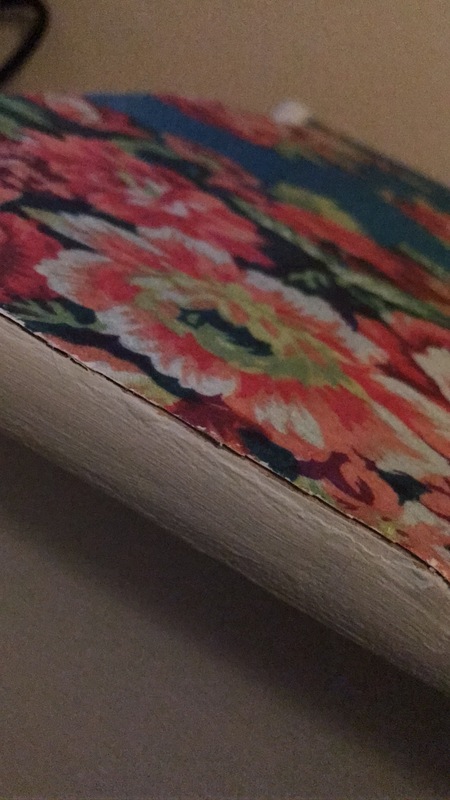 On certain parts of the toy chest, the paint lifted with the paper, highly frustrating as I didn’t get an even edge and had to glue and paint it again. Anyone who knows me crafting, I am a perfectionist! I left the paper longer than 30mins to dry which made the sanding more difficult, I don’t recommend you do this. The paper needs slight moisture from the glue to help sand it away and create the perfect edge. 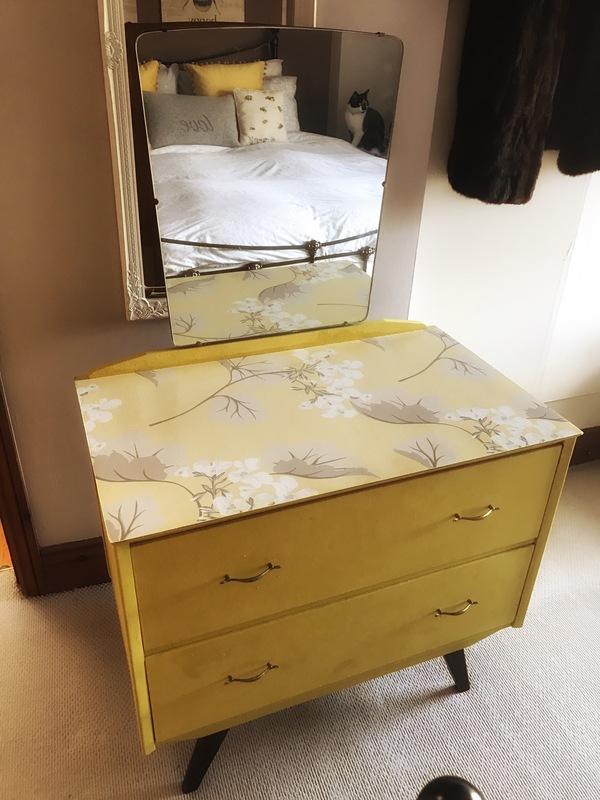 As the toy chest was just a practice, I learnt the mistakes and was ready for the dressing table. Luckily painted with Annie Solan paint.